Before I begin I’d like to firstly thank a London burger chain for making this all possible. 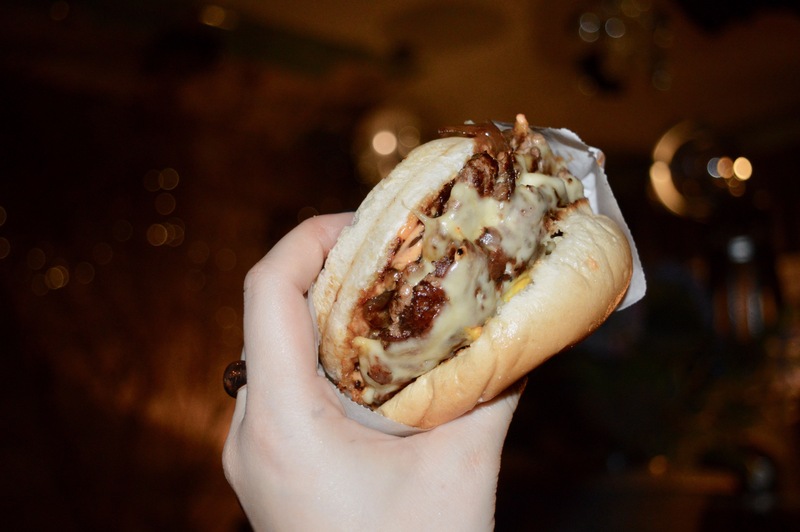 I’d also like to thank Meat:Stack burger joint formally known as ? for their new Menu version 2.0 which has all come about after their re-brand. Although your name may have changed, your deliciously tasty and moreish burgers haven’t. In fact, they just took the burger game to the next level. The BEST burgers in Newcastle are found here. After a tasty new re-brand and an upgraded menu, we headed to the relaunch of the best burger bar in Newcastle last night. As claimed by both myself and The Secret Diner. Meat:Stack is located inside of No28 on Nelson Street if you’re not familiar with the location. Having virtually worked through the entire former menu, I was excited to see Menu 2.0. After asking the wonderful Lottie, who is our favourite waitress which she’d recommend she suggested the Mid Western Burger. 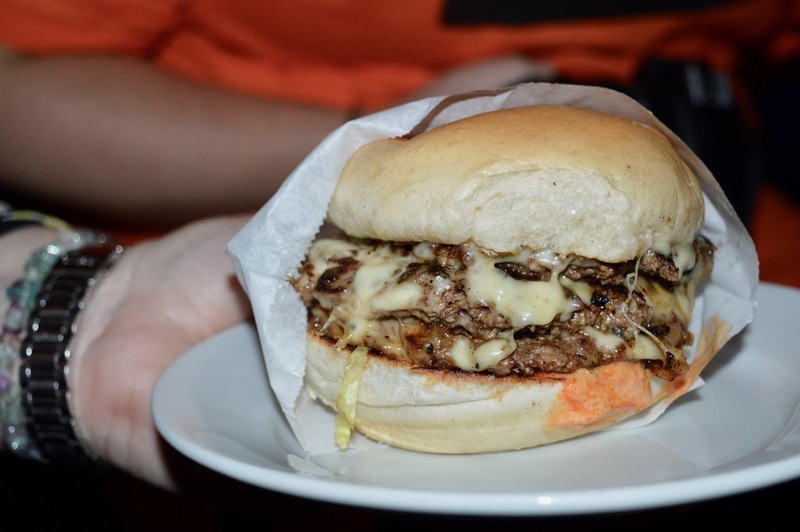 This, a butter burger comprising of two patties smothered with french onions, whipped garlic and miso butter which was served in a bun wrapped in a proper dirty burger wrapper. Just what you need on a dismal and grey Monday evening. The burgers are priced between £6 and £8. Which is exceptional value for a city centre burger. Accompanying our burgers we enjoyed the Beef Dripping Chips. These are the chips dreams are made. Cooked in beef dripping they’re the epitome of filthy fries. That is of course unless you do opt for the filthy fries which have had a welcomed upgrade. The filthy fries now named Doo Hot Fries are fries served with sliced hot dog, melted cheddar cheese, ancho chilli honey and buffalo hot sauce. They’re so tasty and extremely flavoursome. 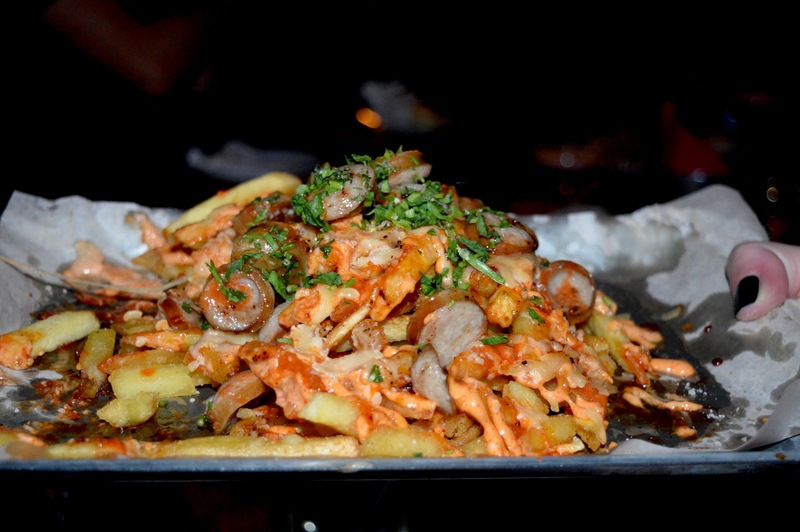 The sliced hot dog is a great additional twist to these fries. The Beef Dripping Chips are priced at £3 and Too Hot Fries are priced £5.50. Call into Meat:Stack Monday to Friday and enjoy burger, fries and a portion of wings for £10. Top tip: Vegetarians there’s a veggie burger and paneer burgers. The chips can be cooked for vegetarians and Meat:Stack also offers Gluten Free Buns. 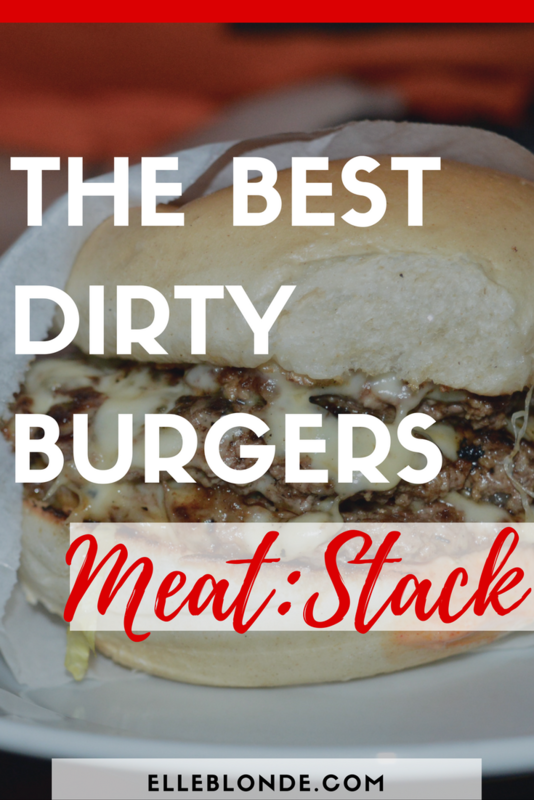 I’ve visited Meat:Stack on several occasions both weeknights and a busy Saturday afternoons. The food is constantly consistent and truly scrumptious. I feel like I’ve exhausted descriptive adjectives to describe my love of Meat:Stack but I 100% champion just how naughty but exquisite the food is. Go now. You’ll not be disappointed. I promise!